This Inch to the Mile map covers the area east and south of Belfast, with coverage stretching from Sydenham eastward to Ballywalter (Portavogie is split by the east margin), and from Newtownards southward to Saintfield. Towns covered include Newtownards, Comber Saintfield, part of east Belfast, Kircubbin, Grey Abbey and the villages of Ballywalter, Ballyhalbert, Mill Isle, Carryduff and Ardmillan. Much of Strangford Lough is shown and other features of interest include long lost sections of the Belfast & Co Down Railway through Newtownards and Saintfield. On the reverse we include the two town plans for Comber, here reduced to 18 inches to the mile. These show the town in detail, including station, St Mary's church, Upper and Lower Distilleries, The Square, Spinning Mill, Castle House, churches. Also included is the town plan for Saintfield, which includes station, Main Street area in detail, churches, Fair Green etc. To complete a publication packed with information, we include 1899 directories for both Comber and Saintfield. Co Down: Ardmillan, Ballygowan, Ballyhalbert, Ballywalter, Carrowdore, Carryduff, Comber, Dundonald, Gladtry, Gransha, Grey Abbey, Killinchy, Kircubbin, Mill Isle, Newtownards, Portavogie, Saintfield, Sydenham. 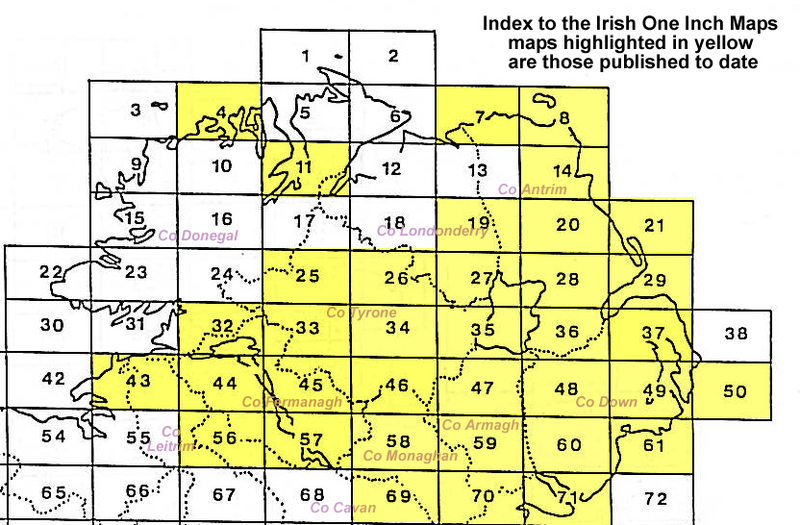 An index map is available showing the areas covered by the Inch to the Mile maps. Go to This Index Map. For a full list of maps for One Inch maps for Ireland go to the Ireland Inch to the Mile page; or for other maps of Ireland visit the Ireland page.